Beav City is a rapper/singer well known in the Chitungwiza Hip Hop scene. A few weeks back l came across his music on Youtube and l was blown away. He fuses English and Shona effortlessly, it will take a sixth sense to notice when he crosses the bridge between the two languages. He has been named among MCs to watch in 2017. He has been on the grind since 2009, only to get radio play in 2017! His single "Rubber" has topped charts for 8 weeks straight on Zifm Stereo. I got a chance to interview him about his journey, influences, what inspires his unique sound and what he thinks of Takura and Hillzy's contribution to the Hip Hop scene. 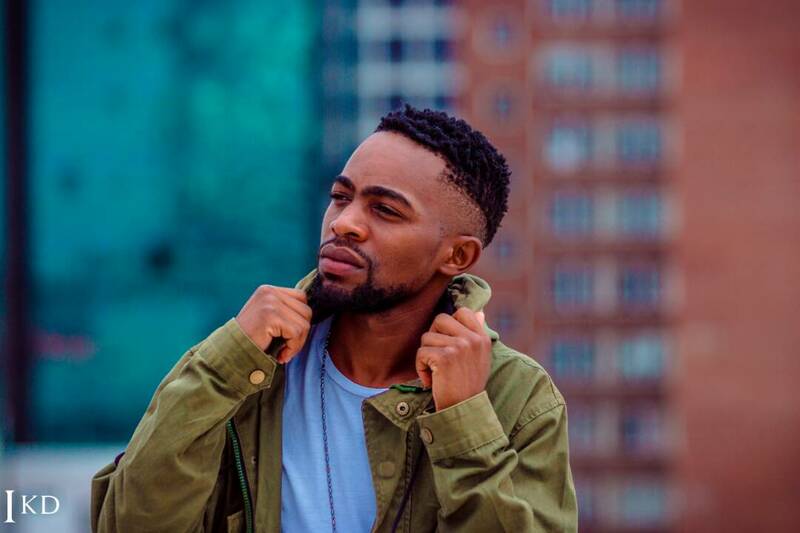 Born Beaven Mukwizo, the upcoming artist creates R&B and Hip Hop but is flexible with any genre of music. "I'm a vocalist, recording artist, beat composer and song writer," Beav City says. How did he get this name? He used to jam to Rock City, a group from the states. "From the love of the duo l shortened my name from Beaven to Beav and took City from the duo group name and Beav City was born," he says. His love life plays a major role in his music, apart from that he finds inspiration through whatever happens around him. His biggest musical influence at the moment is Bryson Tiller and if he could work with anyone it would be Jah Prayzah. His creative process varys depending on his mood. He says "sometimes l start with lyrics, pamwe pacho l get vibes from a beat." He says the social commentary in songs like Bad Friend is a "deep conscious meditation." In 2016 he released an EP called Music Of The City. He hopes to release an album next year if he manages to find management, promotion and sponsorship. "I have always wanted to work with someone like Mudiwa. The brother is a fun guy to hang around with, dzofara yzia." Aside from Fun_F & Jamal, he has worked with Mzeen the beatmaker, Leekay, Mclyne on the beat and Tanto Wavie. If you have not had a chance to listen to Beav City he suggests his potential fans listen to Tonderai, Rubber, Zim Girl(Dotman ft Mr Eazi cover) and Enda Unofa. When asked about the state of Hip Hop in Chitungwiza Beav City thinks Chitown has always been the root of hip hop. "I share the same hood with Maskiri and every year there is always an amazing new sound coming from my side yzia. Chitown ma1," he says. Wrapping up our conversation I asked Beav what he thinks about Takura and Hillzy's contribution to Hip Hop scene and this is what he had to say, "The two are really good at what they do. Their sounds are special, beats, vocals on point zvekudaro all the times yzia. They are also trend setting." In the next five years Beav City says you can expect more beautiful music coming your way. In the meantime listen to his cover of Dotman and Mr. Eazi's Afro Girl below.